Rhinoplasty, or surgery of the nose, is one of the most common of all plastic surgery procedures. Rhinoplasty can reduce or increase the size of your nose, change the shape of the tip or the bridge, narrow the span of the nostrils, or change the angle between your nose and your upper lip. It may also correct a birth defect or injury, or help relieve some breathing problems. Rhinoplasty can enhance your appearance and self confidence, but it won’t necessarily change your looks to match your ideal, or cause other people to treat you differently. Before you decide to have surgery, think carefully about your expectations and discuss them with your surgeon. When rhinoplasty is performed by a qualified plastic surgeon, complications are infrequent and usually minor. Nevertheless, there is always a possibility of complications, including infection, nosebleed, or a reaction to the anaesthesia. 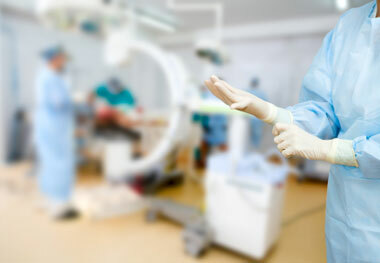 You can reduce your risks by closely following your surgeon’s instructions both before and after surgery. After surgery, small burst blood vessels may appear as tiny red spots on the skin’s surface; these are usually minor but may be permanent. As for scarring, when rhinoplasty is performed from inside the nose, there is no visible scarring at all. When an “open” technique is used, or when the procedure calls for the narrowing of flared nostrils, the small scars on the base of the nose are usually not visible. In about one case out of twenty, a second procedure may be required, for example, to correct a minor deformity. Such cases are unpredictable. Even plastic surgeons who only perform rhinoplasty, describe this 5% rate of secondary rhinoplasty. The corrective surgery is usually minor. Good communication between you and your plastic surgeon is essential. In your initial consultation, your surgeon will ask what you’d like your nose to look like, evaluate the structure of your nose and face, and discuss the possibilities with you. He will also explain the factors that can influence the procedure and the results. These factors include the structure of your nasal bones and the cartilage, the shape of your face, the thickness of your skin, your age, and your expectations. He will also explain the general anaesthesia he will use, the hospitals where the surgery can be performed, the risks and costs involved, and any options you may have. If you have previously broken your nose, have breathing problems through your nose or if you have a marked developmental abnormality, medicare and your health fund may contribute towards your surgery. Be sure to tell your surgeon if you’ve had any previous nose surgery or an injury to your nose, even if it was many years ago. You should also inform him if you have any allergies or breathing difficulties, if you’re taking any medications, vitamins, or recreational drugs and if you smoke. Your surgeon will give you specific instructions on how to prepare for surgery, including guidelines on eating and drinking, smoking, taking or avoiding certain vitamins and medications and washing your face. Carefully following these instructions will help your surgery go more smoothly. While you’re making preparations, be sure to arrange for someone to drive you home after your surgery and to help you out for a few days if needed. Rhinoplasty may be performed in all of the local hospitals visited. 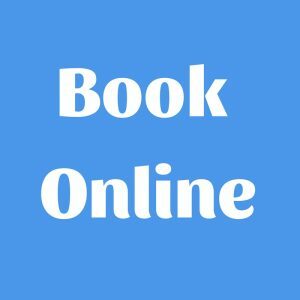 It’s usually done as a day procedure, for cost containment and convenience, however an overnight stay can be arranged if necessary. 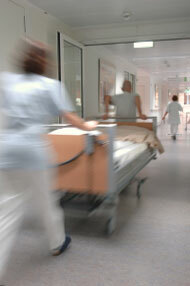 More complex procedures may require a night or more in hospital. Rhinoplasty can be performed under local anaesthesia and sedation or general anaesthesia, depending on the extent of the procedure. With general anaesthesia, you’ll sleep through the operation, and this will be the most comfortable option generally. Rhinoplasty usually takes an hour or two, though complicated procedures may take longer. During surgery the skin of the nose is separated from its supporting frame work of bone and cartilage, which is then sculptured to the desired shape. The nature of the sculpting will depend on your problem. Finally the skin is reshaped over the new frame work and absorbable sutures will secure the healing skin. 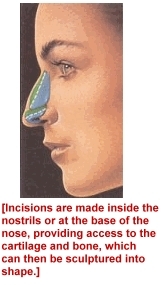 Many rhinoplasty operations, are performed from within the nose, making their incision inside the nostrils. Others require an “open” procedure, especially in more complicated cases – a small incision is made across the columella, the vertical strip of tissue separating the nostrils. When the surgery is complete, a splint will be applied to help your nose maintain its new shape. Nasal packs also may be placed in your nostrils to stabilise the septum, the dividing wall between the air passages. After surgery, particularly during the first twenty-four hours, your face will feel puffy, your nose may ache, and you may have a dull headache. You can control any discomfort with pain medication prescribed, but typically there is little pain. Plan on staying in bed with your head elevated for the first day. A little bleeding is common during the first few days following surgery, and you may continue to feel some stuffiness for several weeks. Your surgeon will ask you not to blow your nose forcefully for a few weeks, while the tissues heal. If you have nasal packing, it will be removed on the day of surgery. By the end of the first week all dressings, splints and any stitches should be removed. Most rhinoplasty patients are up and about within two days, and able to return to school or sedentary work a week or so following surgery. Your surgeon will give you more specific guidelines for gradually resuming your normal activities. Avoid strenuous activity (jogging, swimming, bending, any activity that increases your blood pressure) for two to three weeks. Avoid hitting or rubbing your nose, or getting it sunburned, for eight weeks. Be gentle when washing your face and hair or using cosmetics. You can wear contact lenses as soon as you feel like it but sunglasses must be worn with care. Once the splint is off, only very light glasses can be worn. Your surgeon will schedule follow-up visits in the months following surgery to check on the progress of your healing. If you have any unusual symptoms between visits, or any questions about what you can and can’t do, don’t hesitate to call him. In the days following surgery, when your face is bruised and swollen, it’s easy to forget that you will be looking better. In fact, many patients feel depressed for a while after plastic surgery. It’s quite normal and understandable. Rest assured that this stage will pass. Day by day, your nose will begin to look better and your spirits will improve. Within a week or two, you’ll no longer look as if you’ve just had surgery. Still, healing is a slow and gradual process. Some subtle swelling may be present for months, especially in the tip. The final results of the rhinoplasty may not be apparent for a year or more. In the meantime, you might experience some unexpected reactions from family and friends. They may say they don’t see a major difference in your nose. Or they may act resentful, especially if you’ve changed something they view as a family or ethnic trait. If that happens, try to keep in mind why you decided to have this surgery in the first place. If you’ve met your goals, then your surgery is a success. If you have further questions, write them down and ask your surgeon and his highly trained staff at your consultation.